Bertie and Croc don’t often look back. They are far too interested in looking forwards to their next adventure. As 2018 comes to a close and an exciting new year begins they found themselves sat in a Christmas stocking chatting quietly about everything they had done in the past few years…..
Croc chatted about visiting the seaside and then remembered how he wasn’t sure about the sand between his paws. Bertie reminded him about the Eden Project and the exciting tropical Biomes they visited. They both decided they really must go back there again! Bertie mentioned Norway and how they got lost and went on a huge adventure to find their way home. Croc shuddered at the thought. He still found the whole experience quite stressful to think about. Bertie, however loved the adventure and especially enjoyed making friends with the huge polar bear who helped them to to train to Oslo! 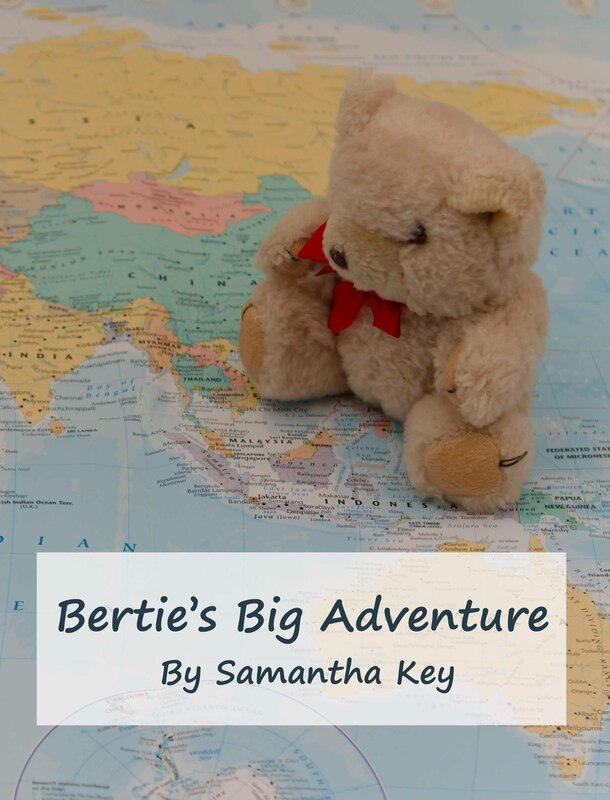 Croc nudged Bertie and pointed at a copy of their book which was published this year. That WAS exciting! They went on an easter egg hunt and made themselves a little ill eating all the chocolate they found! Bertie mentioned, very carefully, the snow they played in at the beginning of the year. Croc shuddered and snuggled deeper into the Christmas stocking….being a crocodile and cold blooded he wasn’t a massive fan of being cold and that snow stuff certainly made him cold! What have you done this year? What do you think Bertie and Croc will get up to in the next 12 months??? Poor Croc! He can’t catch a break. Hope this coming New Year will provide them with LOTS of adventures! Bless him I know 😄 I hope so too. Adventures for Bertie and Croc = adventures for me! 😊 Hope you’ve had a nice Christmas Mark? I did and ‘thank you”! Hope the little guy got some good things for Christmas, and I don’t mean your husband – LOL!! LOL!! Awesomesauce! That’s what kids are for.